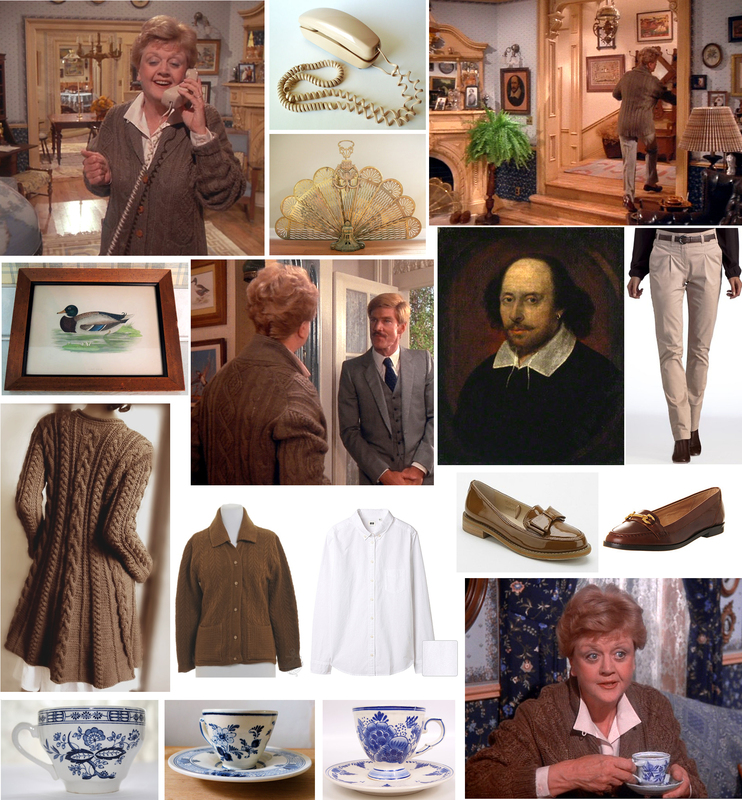 Under her fish cardigan, Jessica wears very simple clothes and jewellery. 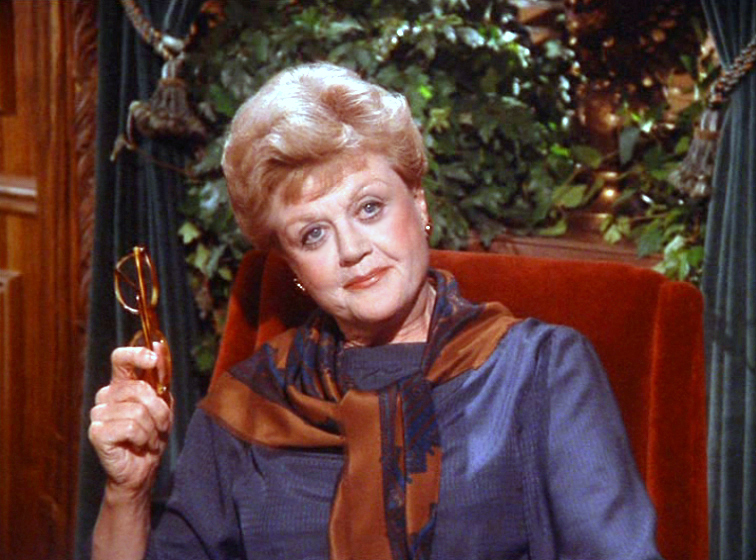 Near the beginning of the episode, she is wearing a light blue shirt, what seems to be a white silk scarf underneath, and a silver snake chain around her neck. Jessica wore blue shirts before (see this post and this post) but if you think this shirt looks different, you might like this blue single pocket shirt by New Look. For the scarf, I once again recommend this beautiful one by Etsy seller SWAKcouture or, alternatively, this one available at Forever21. As per her necklace, she is wearing a very simple and yet really pretty silver snake chain. It’s quite easy to find this necklace style at a very reasonable prices, like this one by Top Shop or this one available at John Lewis. My preference, however, once again goes to Etsy and to this pretty one by seller CharmTopia, or this lovely one by seller SanAntonioSilver. As you know, I have fun in looking for the small details, so I searched for a similar glass to the one she is drinking from. It has a shape that reminds me of a sherry glass, however there is a wine bottle on the table, so I am confused. Any glass-ologist in the room? In the end I chose these very beautiful vintage silver ringed wine glasses, by Etsy seller LaRouxVintage, which look very similar to the one she is using. Jessica completes this outfit with a blue skirt and a pair of flat blue shoes. I can’t see the shoes properly, as they appear in the episode only for a second, but I am happy enough with these pretty boat shoes by Top Shop, these navy canvas shoes available at Debenhams or these simple navy canvas slip on available at Dorothy Perkins. The skirt seems to have a bow on the waist, which reveals a wrap-around shape. Browsing vintage shops, I quickly realised how wrap-around skirts were very popular up to the 70s, so it should be fairly easy for you to find something similar at your local second hand/charity shop. On Etsy there are plenty of vintage skirts in all possible colours and patterns, but knowing Jessica’s love of denim I picked this lovely 1970s blue skirt by Etsy seller DollyDraper or, for a more romantic take on the same theme, this adorable 1950s full skirt with pockets by Etsy seller KIKIbargains. 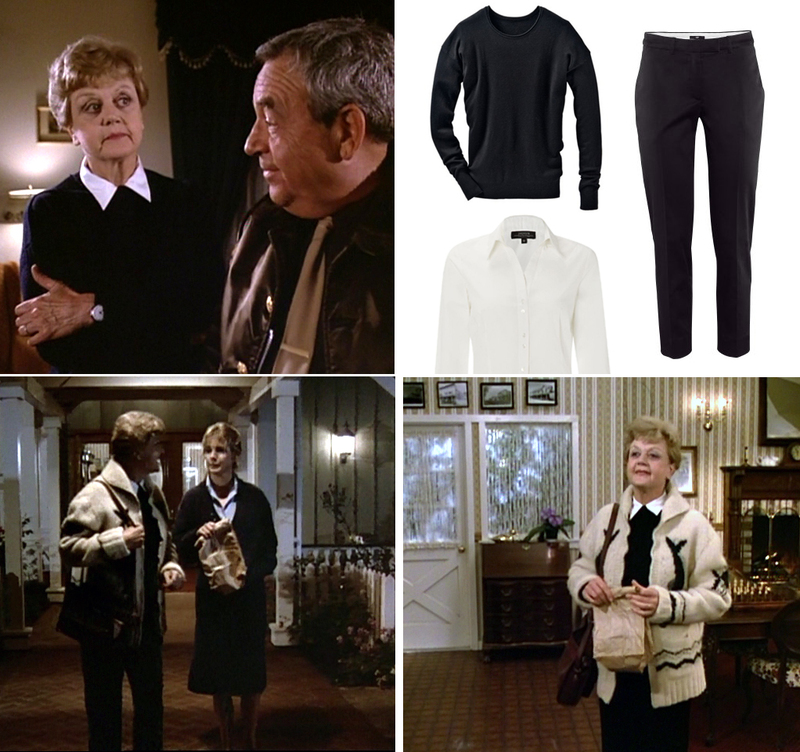 Towards the end of the episode, Jessica pairs her fish cardigan with an all-black outfit. Jessica wears a white shirt, like this one available at only £5 at Matalan, over a really simple and yet elegant black jumper like this one, only £17 at La Redoute. A pair of simple black trousers like these from H&M complete the look. 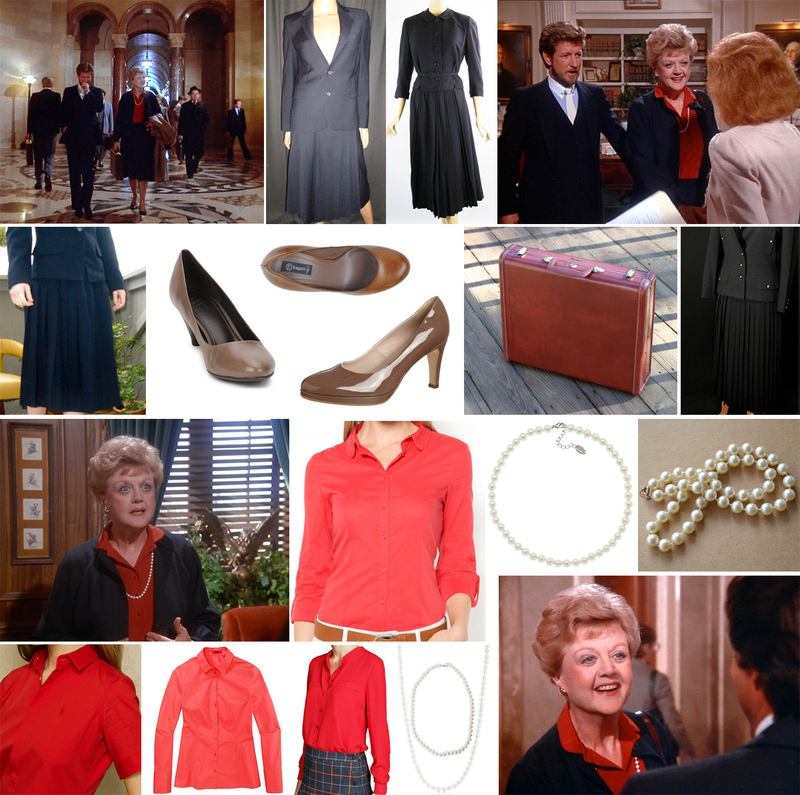 For the time being… here are the last three outfits I can guess from the opening credits. (Video available here). Jessica at the shooting range is just adorable and this might be my favourite of her “sporty” outfits. 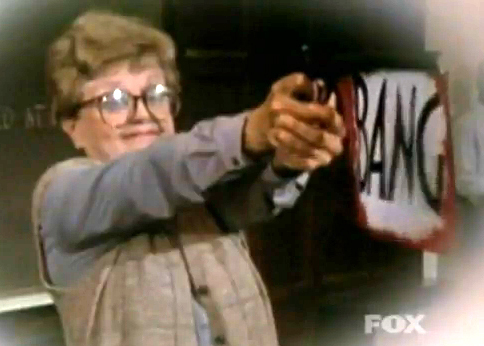 First of all, her tortoise shell oversized glasses are just plain cool. On Etsy I found both a perfect reading glasses version in these beautiful vintage Anne Klein glasses by seller DontUWantMe and a sunglasses version with a very similar vibe in this fabulous vintage Laura Ashley shades by seller Pursuingandie. For the shirt, I chose this simple light blue Oxford shirt, £22 on sale at Debenhams. The waistcoat/vest has been harder to find. I can’t really see the details properly, so I am happy enough with these two options: either a pretty vintage beige waistcoat at Rokit, or a more sporty and modern kakhi gilet by Glamorous, at the moment both on sale at less than £20. 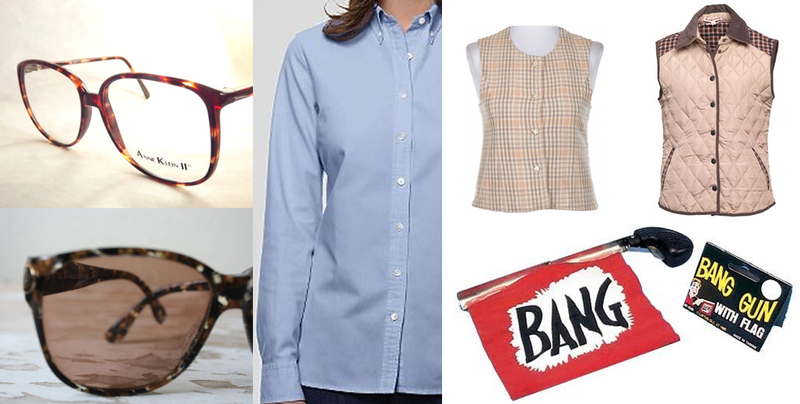 And of course, to complete the look: the BANG pistol is a must! In the last couple of screenshots I can just about make out what she is wearing. 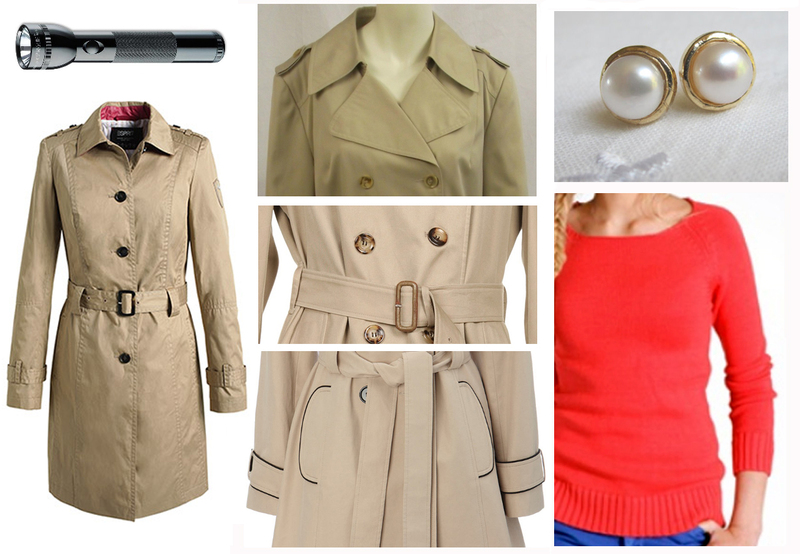 This trench coat is just what you would expect from a murder investigator! It is a very popular coat, so it is really easy to find plenty of different choices for all pockets. I decided to mention just a few of them: This second-hand trench on sale at Oxfam, which is not only crazy cheap at £12 but, most importantly, would benefit a good cause, is my pick. On the high street you can go from £49 at Bhs to £129 at Esprit, and for an alternative somewhere in between, I recommend this vintage Burberry at Rokit now on sale at £108. Bonus: a handy flashlight for when you snoop around creepy basements at night. Apart from the glasses, which, as mentioned above, you can buy on Etsy both in a reading glasses and sunglasses version, I can’t really see which earrings she is wearing, but I like to think they might be similar to these stunning pearl and gold earrings by Etsy designer EldorTinaJewelry. The blue shirt is the same Oxford shirt mentioned above, and for the lovely boatneck top I choose this red jumper at £8.50 (on sale) at La Redoute.